Saila Sudha, one of India’s outstanding dance academies that preserve and propagate the traditional parampara of the Indian classical dance forms of Bharathanatyam and Kuchipudi for the last 26 years, conducted its much-acclaimed Nrithyasangama, National Art Confluence for the 9th year yesterday at Bharatiya Vidya Bhavan, Chennai. Students of Saila Sudha gave a pleasing Bharathanatyam Performance, “Ramayana Drishya Lahari” (Script, Music and Direction by Dr. Ambika Kameshwar) a dance musical theatre production by RASA was highly impressive, Duffmuttu (Art form of Malabar Region) by Kappad Kala Kendram was touching. 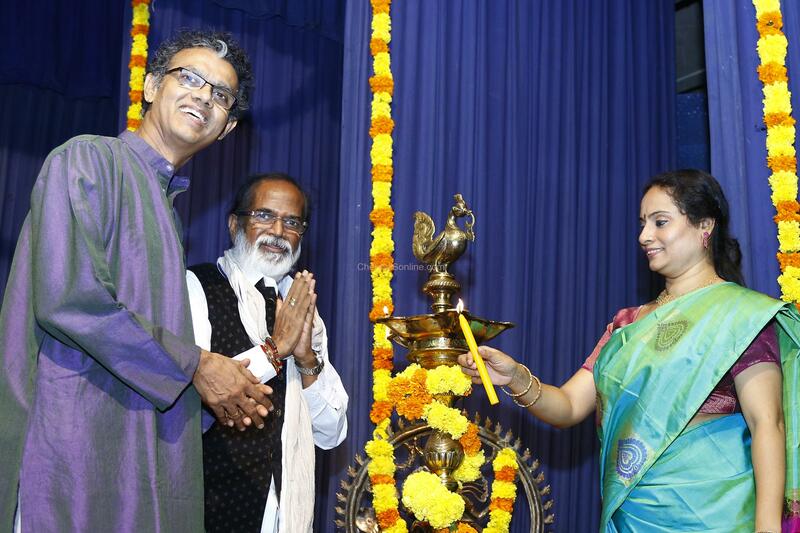 Kalaimamani Dr. Gangai Amaran was the Chief Guest, Sri Rajkumar Bharathi Great Grandson of Mahakavi Subramanya Bharathi was the Guest of Honour. On this day at same venue between 5 PM to 8.45 PM Bharathanatyam performance would be given by Students of Saila Sudha, Kathak Performance by Smt. Swati Potulwar & Group, Kuchipudi – Nadaswaram Ensemble by Kalaimamani Sailaja & Group – Idumbavanam Sri V Prakash Ilayaraja. The main highlight of the festival would be an ensemble of Kuchipudi with Thavil and Nadaswaram. Probably it would be the first time that the Kuchipudi style would be paired with the traditional classical instrument known as Mangala vadya.